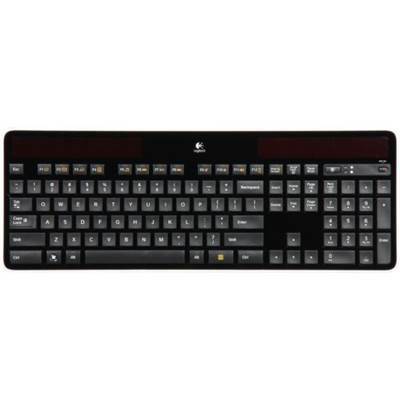 Logitech K750 Black USB RF Wireless Slim solar-powered Keyboard. 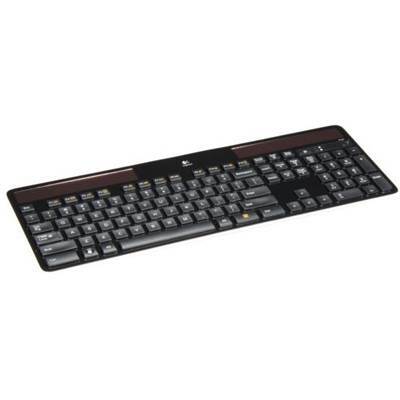 Keyboard Interface: USB, Power Supply: solar-powered, Keyboard Color: Black. 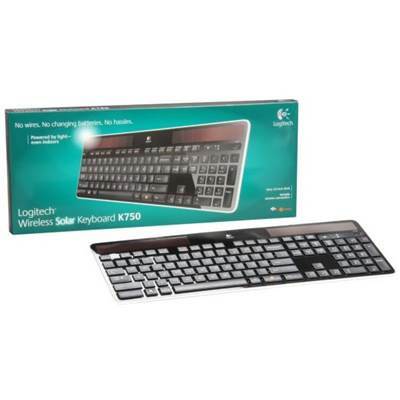 This solar-powered keyboard makes battery hassles a thing of the past. 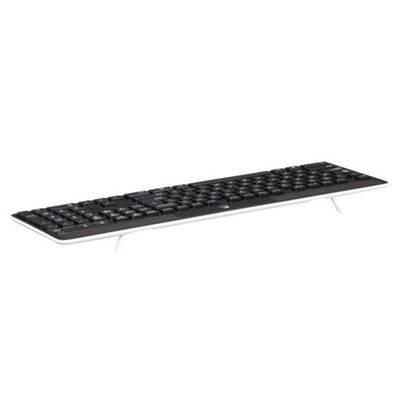 The keyboard charges itself with any light, including the one on your desk. So you can say goodbye to battery changes and charging cables—all with a streamlined design that looks and feels great.